Chaz Mostert has smashed his own lap record in qualifying at Sydney Motorsport Park to take ARMOR ALL Pole Position for this afternoon’s 120km race. The Supercheap Auto racer was the only one in the ‘28’ second bracket and lowered the time he set last year with a 1min28.872 on his first run. While he now has the most poles in the field, and the most front row starts, he is yet to win a race in 2016. “The car was really hooked up on soft tyres,” Mostert said. 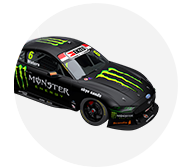 Shane van Gisbergen, who will start alongside Mostert on the front row, was 0.2534sec adrift in the session, also setting his time on his first run. He wasn’t sure why drivers weren’t getting more out of the cars on the second run. “I’m not really sure, hard to explain but been that way lately first run quickest, Darwin and this session,” van Gisbergen said. Degradation will be the word of the day with drivers suggesting it will be an interesting race. “This afternoon is going to be a nightmare with the tyre,” James Courtney, who qualified fifth, said after the session. “It’s deteriorating quickly; the surface is so abrasive. 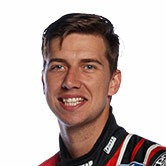 Courtney said his Holden Racing Team Commodore had “genuine pace”. With the team’s strategy smarts they could be ones to watch this afternoon. Championship leader Jamie Whincup starts third, with DJR Team Penske’s Scott Pye fourth at a circuit the team was confident to contest. The 120km race kicks off at 4pm local time this afternoon.